Ballmer is out. Is it time to change the culture at Microsoft? As usual the history of a company and the behaviours of Leaders are the main ingredients to create a culture, the tools used are a way to reinforce the desired actions. Now it would be too easy to say negative things about Microsoft (if you want to read a different story about Microsoft go there), what I would like to do is instead to focus on one managerial tool used in Microsoft to evaluate the impact of Performance Management in a company and how destructive could be. The goal is clear: push people on the individual performance but as we all know, or we all should know…, the results for a company are not the sum of the individuals’ one. To create a great and complex product, you need a great team Who really collaborate. 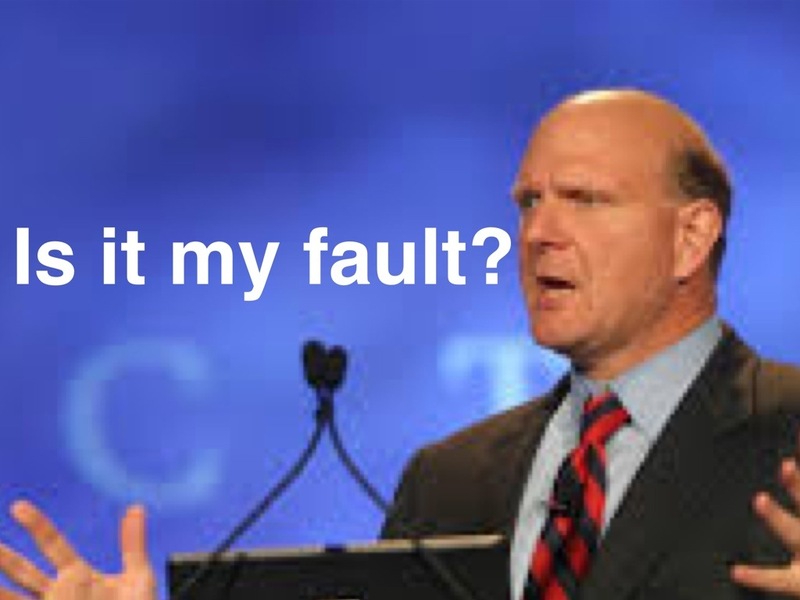 Now that Ballmer is out, it’s probably time to think differently: what would you suggest to do? This entry was posted in Organizations by maxghini. Bookmark the permalink.